This year I’ve been searching & trying different hamburger bun recipes. I have two recipes I want to share with you because I think they are the two best that I’ve tried. The first recipe is tried & true & comes for the King Arthur Flour site. I’ve been making it a lot recently & I think it goes great with homemade burgers & I also use it to make sandwiches. It has a nice rich buttery flavor to it which I kinda love. 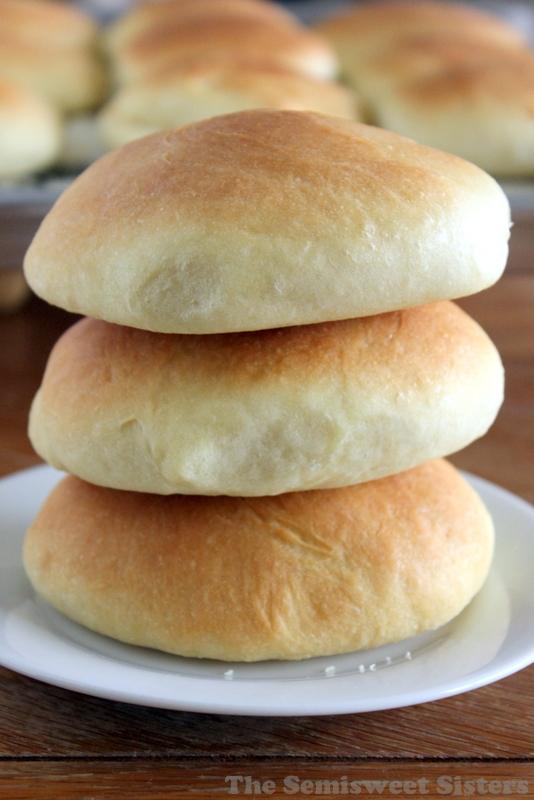 This recipe makes 8 large hamburger buns or 12 average size buns. I usually make 12 buns. 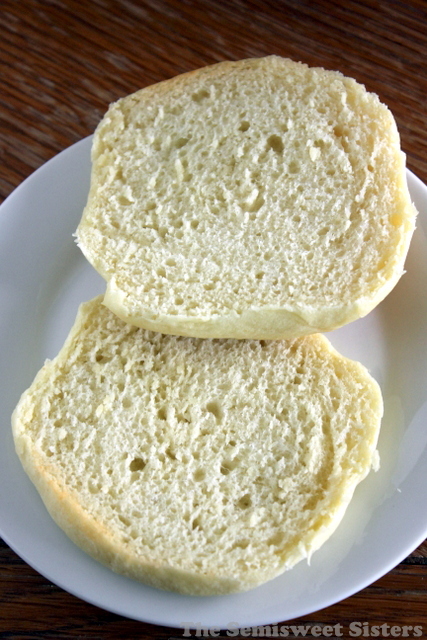 If you want to make these into “slider buns” just divide the dough into 24 pieces and bake for 12 to 15 minutes. Brushing the tops with butter gives them a soft golden brown crust & a rich buttery flavor. 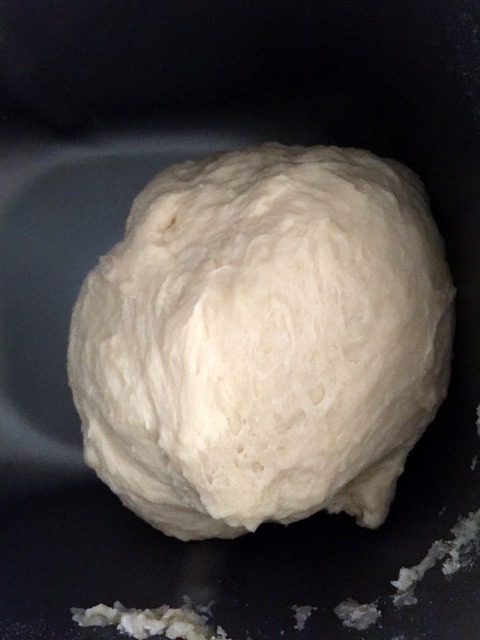 **Start with the ¾ cup water, add more if dough is still too dry, in summer months you need less water, in winter months you usually need more**. Cover and let rise for 1 to 2 hours, or until it's nearly double in size. 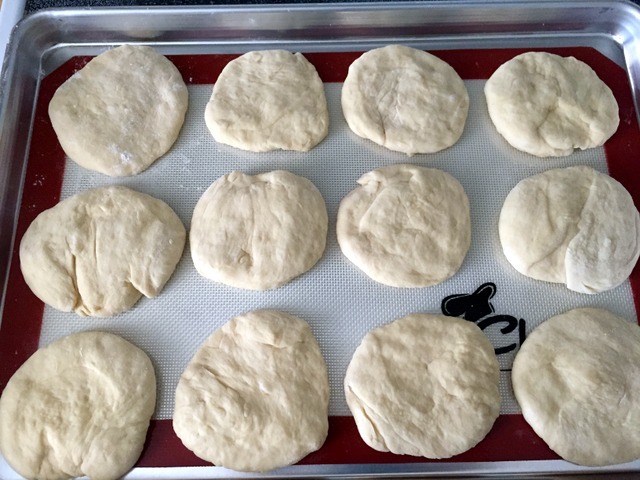 Divide dough into 8-12 pieces, depending on how big you want them (I made 12). Shape each piece into a ball; flatten to about 3" across. Place on a greased cookie sheet and let rise for about an hour or until noticeably puffy. Brush the buns with half of the melted butter. Preheat oven to 375°F and bake for 15 to 18 minutes, or until the tops are golden. Remove from oven and brush with remaining melted butter. Love your honenade hamburger and hot dog reciipe! My family actually prefer my home made ones instead of store bought!!! These are amazing! I use honey in place of sugar and I’ve added flaxseed and hemp seeds, not at the same time. still amazing ! Thank you! Hi Candice, So glad you liked the recipe! I make these almost on a weekly basis, love fresh bread. :) Thanks for commenting! Hi there!! My husband is on a low sodium diet and we have been using your hamburger bun recipe for the past four months and love it so much! We just omit the salt completely and they still turn out wonderful. One thing that we can’t figure out, and maybe the no salt has something to do with it, is when we are shaping them into the 12 buns, if they have a small crack, the crack won’t seal back up and in turn, when we bake them they end up cracked and fall apart. Have you ever experienced this problem and if so, do you have a solution? Thanks so much for your help!!! Hi, I think that omitting the salt is definitely your problem with the buns turning out that way. Salt is actual a key ingredient when making bread and helps with the fermentation process, it really helps to strengthen the dough. You could try adding only a small portion of salt back into the recipe & see if it helps.